In this example, I've used SharePoint 2013 and MS Word 2013. However, this should work for SharePoint 2010 and MS Word 2010 as well. I've a document library and added a column Description of type Multi-line of text. 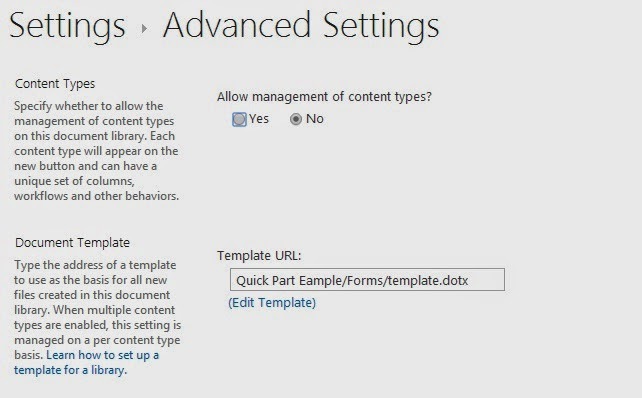 Now go to Library Settings -> Advanced Settings, under Document Template, click on Edit Template link. Click on this, and select Document Property and here you can see lots of fields. If you observe, you can also find Title and Description fields which are coming from document library. Now, save this document back to the same location which was shown under Template URL. Note that this will be saved in .dotx format (Document Template). Navigate to Library, click on New Document, it opens the document from the template it was saved in previous step. Just save this document without making any changes. Now just click on Document (in this example "First Document"). The document opens and alas! you can see the metadata values appearing in the document. If you make changes to the property values and again open the document, it reflects the new values. If you download the document, it retains the values as at the time of download. Is it not a cool feature? Ok, before you jump into implementing this in your solutions, be aware of certain limitations and features so that you are consciously taking design decision. Created By column appears as "Author"
Try this feature and let me know how you find this! Hi, what have I done wrong when the columns i created in the document library does not appear as quickparts? Which version of Office you are using? What are the data types of these columns? Document template (.dotx) must be saved before ... then you will see new columns under Quick Parts. My problem is, instead, the absence of connection between the columns of document library and the QP mapped on the new document .... and vice-versa. Hi Paolo, can you confirm if you are not getting the quick parts in dotx file? 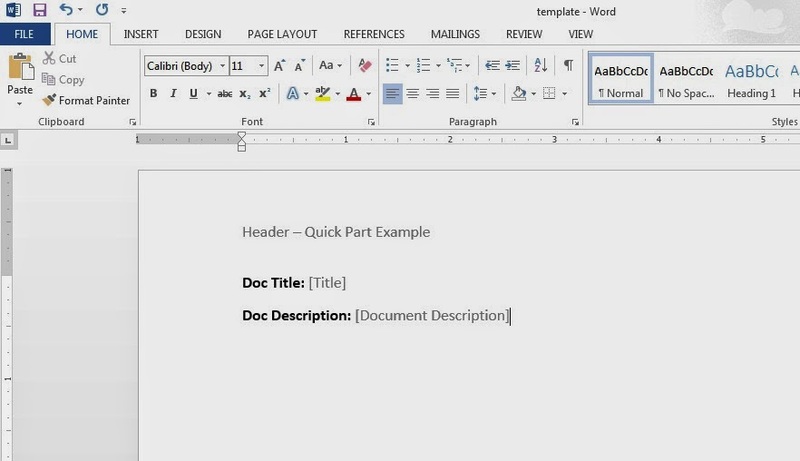 That is, you have to insert the quick parts in template and not in actual document. If it is possible, can you share screenshot of what you have tried? Sorry, i am not getting your explanation. Without screenshots its difficult to understand.